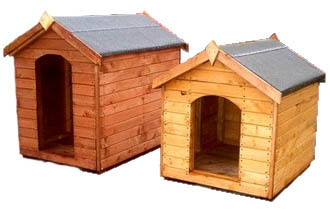 When looking for wooden dog kennels, there are a few qualities that a person searches for. First, they look for a wooden dog kennel that is attractive, then comfortable, and finally affordable. Their goal is to purchase a wooden dog kennel from a company that has years of experience. Wooden dog kennels should be built and designed by professionals who understand the needs of the individual who is having the kennel constructed. Beast Sheds make dog kennels for dogs from the same materials we use for our standard or tanalised garden sheds. Update July 2017: Please note, we no longer offer wooden dog kennels. This page is example information only.